Enjoy life easier but more creative! Convert videos/DVDs, enhance and edit videos. Recover deleted data from iOS, iTunes and iCloud, fix and backup iOS device easily. Burn any video (local & online) into DVD & Blu-ray disc/folder/ISO file. 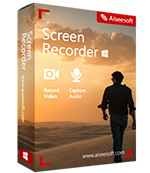 Record any video & audio and edit real-time recording on computer. Recover deleted or lost SMS/contacts/photos etc. from your Android devices. 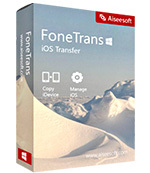 Transfer data between iOS device and iOS device/computer. Aiseesoft MP4 Converter for Mac provides one-stop solutions with tons of options to convert video files into multiple output formats quickly and conveniently. Many players have their own sets of commands to deal with videos. Aiseesoft Mac Video Converter Ultimate helps you get permanent access to any video, anytime, anywhere. 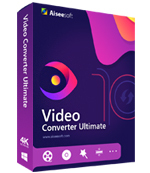 Whatever your video converting needs, Aiseesoft Video Converter Ultimate is sure to have the right tools for you. It supports a wide range of file formats, it’s easy to use, and its video editing and 3D features come in very handy. 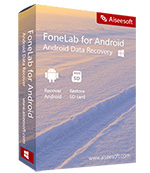 Fonelab's straightforward software gives you total control of the backup and recovery process, ensuring that you always have access to the data you need. 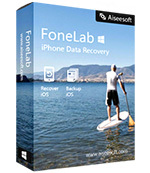 FoneLab can recover deleted photos from an iPhone. It also helps recover lost contacts, messages, calendars, call history, notes, reminders, voice memos, Safari bookmarks, voicemail, App data, WhatsApp data, and more from a broken device. Aiseesoft DVD Creator lets you easily convert video file in any video format to a DVD format and burn it to a DVD disc that can be played on any home DVD player. Have you ever accidentally deleted your important contacts or call history on your iPhone/iPad that was not backed up? If you find yourself in a situation where you have deleted contacts from your iPhone, you can easily recover them with Mac iPhone Data Recovery from Aiseesoft. Want to know the best anime? You may be also interested in the best anime sites like kissanime to watch anime for free. iPhone Is Disabled? Here's the Fix!